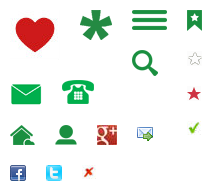 Want to do something different this year and searching for a quirky or unusual holiday cottage? Let us help you with our fantastic collection of uniquely different cottages, perfect for anyone who would like to take a self-catering holiday or cottage break in an out-of-the ordinary holiday home. Available choices on Country Cottages Online include castles, houseboats, windmills, watermills, yurts, gypsy caravans, glampsites and lighthouses, as well as Shepherds’ Huts and barn conversions with extensive wood features and vaulted ceilings. Unusual self catering can be wonderful for memorable holidays. The type of accommodation you will be seeking will depend on your personal tastes and preferences. Many dream of taking a break with a difference, we trust you will find something to inspire you here from the quirky to the award winning. If you love historical buildings, how about a stay in a unique chapel conversion? 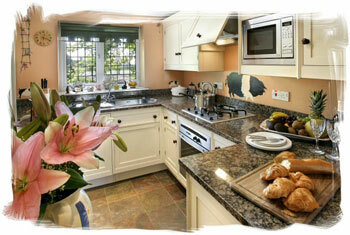 These luxury cottages are gold award winners and offer 5 star luxurious self catering accommodation in Lancashire. In total there are 6 cottages and what makes these really interesting is that they all have a supply of natural spring water. The cottages are fitted out and decorated to a very high standard and the owners pride themselves on providing high quality accommodation. The location of these quality cottages is superb. They are located in 10 acres of grounds, within the Forest of Bowland and a recognised area of outstanding natural beauty. Enjoy wildlife watching, woodland walks and if you are feeling energetic there is a golf course and fishing nearby. There is even a tennis court on site. And of course remember to savour that spring water! Click on the cottage photograph to read more about these stunning country cottages in the Forest of Bowland. Make it an unusual holiday this year in an unusual area. This large country house is unique and stunning. This large house has it all. It has a fantastic setting. Firstly the house is located in the beautiful Trough of Bowland and secondly it is surrounded by 2 acres of gardens, all within stone walls and including a maze and a stream. The location is idyllic and if you are looking for a peaceful country setting this memorable option could be perfect for you. Within 45 minutes drive you can reach the Lake District and Lake Windermere is less than 1 hour away. This holiday home offers a special self catering experience. This is an unusual self catering house, it has monastic origins and sculpted colums. This house blends the old with the new. See the photos for details. There are excellent facilities for families or groups as there is a games room with table tennis and table football. There is also Sky tv. This is an absolutely fabulous house for a group of up to 10 people, click on the photographs of the house to view prices and details. If you are after a bit of romance then take a look at the Dovecote. This unusual cottage is ideal for romantic breaks in a beautiful setting in the Wye Valley. This attractive hideaway is located next to woodland and is set within a valley. The Dovecote is in an idyllic location and well located for walking, cycling, fishing, and other outdoor activities. There is event a drawbridge at this romantic retreat, step out and cross to woodland teeming with local wildlife. Enjoy luxurious accommodation for two in a comfortable bedroom on the first floor. There is a generous oak-beamed kitchen and a sumptuous bathroom with shower, roll-top bath and garden views. If you are searching for a memorable place to stay then this unique enchanting tower may be just right for you. Click on the Dovecote photo for more information. This one bedroom cottage has oodles of character. Created by a designer, it's unlikely that you will have stayed somewhere quite as exotic or unique as this before. So unique is this property that it has been on TV! This cottage is just perfect for romantic breaks and has lots of exotica. There is a flower filled conservatory, an oak beamed lounge with antiques. There is also an inglenook fireplace with log burner. There is even a Victorian spiral staircase which leads to the bedrooms and an oriental style kitchen with Indian wall hangings. The designer owner designs equally unusual and romantic ladies wear and wedding outfits - just in case you're interested. This cottage is pet-friendly so that your dog can accompany you and not feel left out. 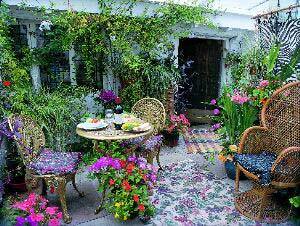 Click on the photograph of this unusual romantic cottage to find out more and for contact details. Looking for a holiday houseboat with wonderful sea views? Hotspur could be perfect. Safely moored in West Mersea in Essex, this fantastic moored boat is in a wonderful seafront location. With a sympathetically converted interior, this house boat should appeal to those looking for something a bit different with the added benefit of lovely waterside views. Family-friendly, there are 5 bedrooms and Hotspur sleeps up to 9. With such a wonderful location, this has to be one the very best and memorable quirky holiday homes in Essex. 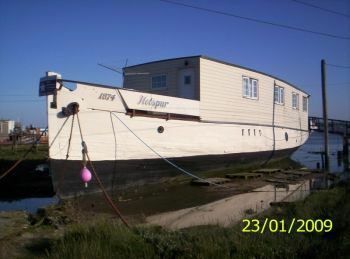 Click on the photo of the houseboat to find out more about this unusual self catering holiday let. Lavenham in Suffolk is a beautiful unique place to visit. Aptly, in this place you will find an unusual historic self catering barn full of character. 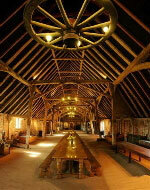 There are not many Tudor barns around but hidden away in a farming landscape in Lavenham is the Tudor Barn. For an ancient unspoilt option then this Grade II listed Tudor Barn should be considered. The Tudor barn and cartlodge comfortably sleep 22. For an atmospheric break for a special occasion such as a birthday, hen party, anniversary or even a wedding this could be the place for you. There are beams galore and short break bookings are welcome. Suffolk is wonderful to visit at any time of year. The cartlodge would be a remarkable holiday home for families arranging a family holiday or reunion. Lots of fun guaranteed. If at all possible, book your holiday to co-incide with a historical re-enactment at Kentwell Hall in Suffolk. This would make a holiday to remember for all concerned. Highly recommended. Click on the photo for more details. Book an unusual self-catering holiday in a windmill as a special treat to celebrate an anniversary or for a romantic break. 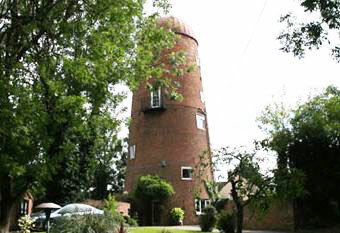 The windmill is located in the Heart of England which is known for beautiful countryside and great tourist attractions. If you enjoy activites whilst taking a self catering break, horse riding is available not too far away and there are also good walking opportunities. Braunston has many attractive canals, great for enjoyable walks. lf you want to get out and about and explore then take a day trip to Shakespeare’s Stratford Upon Avon and many other attractions are just a short drive away. Or enjoy a day trip to Warwick with its amazing historical castle. There is lots to do if you wish or you may simply wish to relax and take it easy. This windmill offers luxurious accommodation over a total of 6 floors. There are 3 bedrooms and the emphasis here is on staying in style. Climb to the top to find the four poster views and dramatic views of the surrounding area. There are amazing views that can be enjoyed from the top of the windmill. Click on the photograph to read details and to contact the owner for bookings and availability. 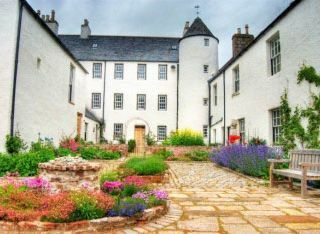 Self-catering does not get any more unusual than this - book a stay as king and queen of your own castle in Aberdeenshire. 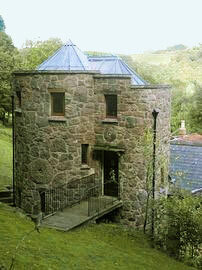 For a truly special getaway somewhere different and atmospheric how about Logie House in Aberdeenshire? This castle style house features towers and turrets which will have you feeling like King and Queen in no time at all. So why not be Laird of the Manor and rent a week or longer in this fantastic castle? Whether for a special occasion such as a wedding or just a family holiday, Logie House could be the perfect place to stay. Click on the photographs of this most unusual holiday accommodation and prepare to be inspired. More castles to rent for your holiday or event? Click on the cockerel at the top left of the page to return to the Country Cottages home page and extra self-catering accommodation options at any time.